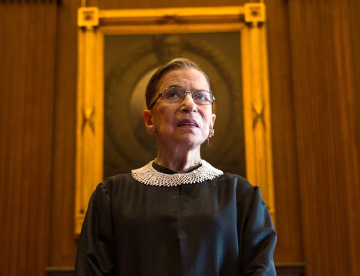 Ruth Bader Ginsburg Documentary at the Naro | Sullivan Collins Law Group, P.L.C. On May 23, 2018 at 7:15 p.m. the Naro Expanded Cinema will host the opening of the documentary film, RBG, in Norfolk. Ann Sullivan, our Managing Member who has had two successful trips to the United States Supreme Court, will introduce the film with a few comments about the importance of this Justice in our history. Pizza will follow at Ynot Pizza!